Home / Unlabelled / How to find live targets from a sub-domain list ? 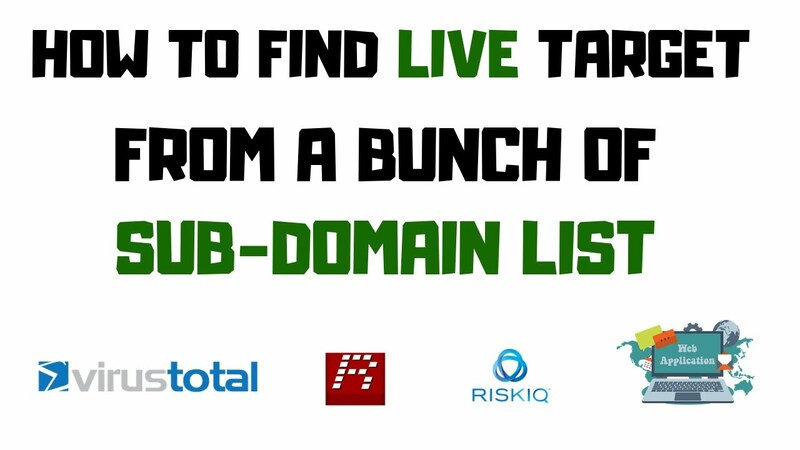 In this video i'm going to demonstrate about how to find live targets from a given bunch of subdomain list. For this im going to use qping tool. WHAT IS SUB_DOMAIN? A subdomain is a domain that is a part of a larger domain under the Domain Name System (DNS) hierarchy. It is used as an easy way to create a more memorable Web address for specific or unique content with a website. For example, it could make it easier for users to remember and navigate to the picture gallery of a site by placing it in the address gallery.mysite.com, as opposed to mysite.com/media/gallery. In this case, the subdomain is gallery.mysite, whereas the main domain is mysite.com. A subdomain is also known as a child domain.